After eight long years of working to expand the Federal government’s reach, Barack Obama is ramping up even harder during his final days in office to go out with a bang. He’s taken advantage of Congress’s last days in session before the holiday by pushing through five massive “midnight regulations” that will cost Americans an estimated $6 billion. 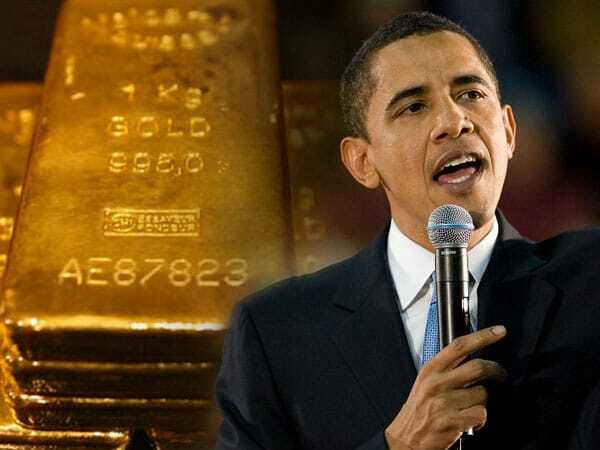 But Obama’s sneaky trick to leave his mark on the country could turn out to be an unexpected gift for gold prices. The epicenter of Obama’s final regulatory earthquake is in the Environmental Protection Agency and Department of the Interior, and his aim is to appease Democrats by enacting sweeping new environmental protections right before he leaves the White House. Combined, these rules could impose $5 billion in costs and more than 350,000 paperwork burden hours, based on initial cost estimates. In addition, at least two measures do not have monetized cost or benefit figures. However, the largest regulation, at $2.4 billion, aims to reduce natural gas waste from flaring and venting. The analysis estimates an average small entity could bear costs up to $37,500. The second largest rule, and perhaps the most controversial, would establish another round of renewable fuel standards. At $1.5 billion in costs, it ranks as the second most expensive EPA rule of 2016, behind the second phase of heavy-duty truck efficiency standards ($29.3 billion). The worst part of these heavy new regulations is that they will put significant strain on the economy without providing any stimulation to offset it. With analysts already concerned about the safety of America’s financial system, these regulations could be the straw (or anvil) that breaks the camel’s back. It’s hard not to think Obama knows how damaging his last-minute regulatory push could be, and even possibly that he’s dropping a time bomb in Donald Trump’s lap simply to improve the Democratic Party’s chances in future elections. There’s no doubt that Trump will fight to undo these new regulations when he takes office, plus the rest of Obama’s deep catalog of aggressive Federal laws from the past eight years. But he might not be able to act fast enough to keep the economy safe. Obama might be leaving us with a slew of new economy-crippling regulations, and Trump might struggle to undo them quickly enough to prevent the consequences. However, there’s one small group of Americans who may end up benefiting from the whole debacle: those who have protected their savings with gold. As these regulations take effect – and as Trump tries to slowly chip them away – the economic slump that may result could push gold prices upward. As we head into 2017, anyone surveying today’s political and economic landscape in search of a prudent way to diversify their savings may want to strongly consider the yellow metal.